You can genuinely understand how Luke Warren feels about his music when you hear his beautifully crafted and thoughtfully blended sets. A journey from start to finish, his mixes immediately draw you in and keep you flowing until the end. Luke's influences from the golden age of progressive can be heard within his music. A complete package with a modern sound that is definitively his own, characterized by an evolving build that contains a subtle, smooth energy and gently progressing rhythm. Luke developed a love for electronic music when he began listening to DJ's such as Sasha, John Digweed and Nick Warren in the 90's. Luke has shared the DJ booth with highly respected artists, such as Nick Warren and Jody Wisternoff of Way Out West, Stephan Bodzin, Max Cooper, Dominik Eulberg, Gabriel Ananda, Ryan Davis and more at club nights and festivals in the past couple of years. 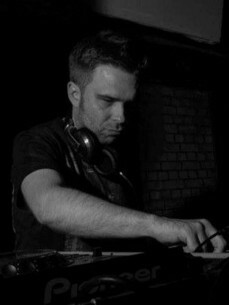 You can catch his monthly show Flux on friskyradio.com at 18:00 (UK time) / 13:00 (EST) every third Tuesday of the month. Always showcasing high quality underground electronic music.